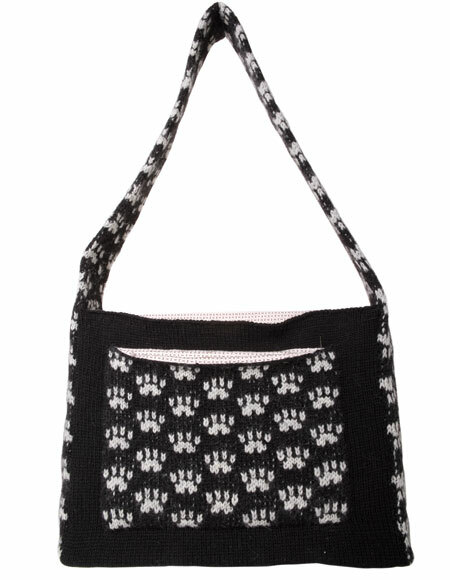 The Cats and Dogs Satchel is an adorable tote perfect for animal lovers! 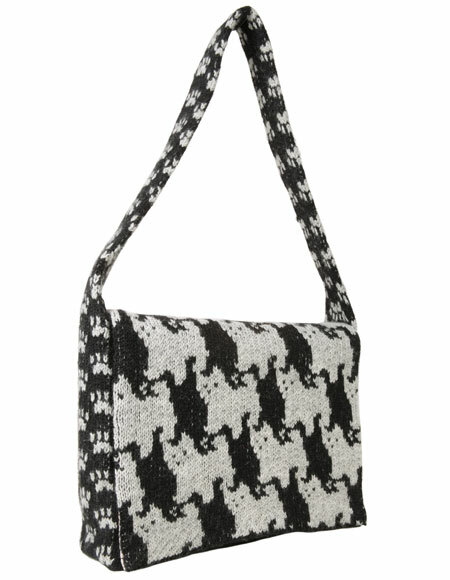 Using a tessellated patterning of cats and dogs, one might be temped to see a simple houndstooth patterning from afar. 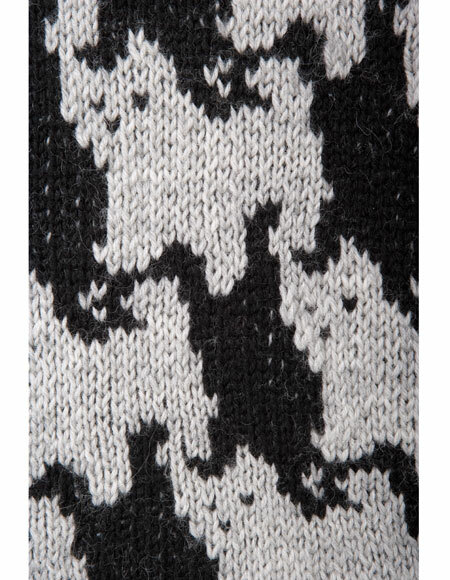 Upon closer inspection, the repeating colorwork motifs of cats and dogs are revealed! The front flap is the highlight of the satchel and is worked in the round, and then steeked to give the bag its flat shape. 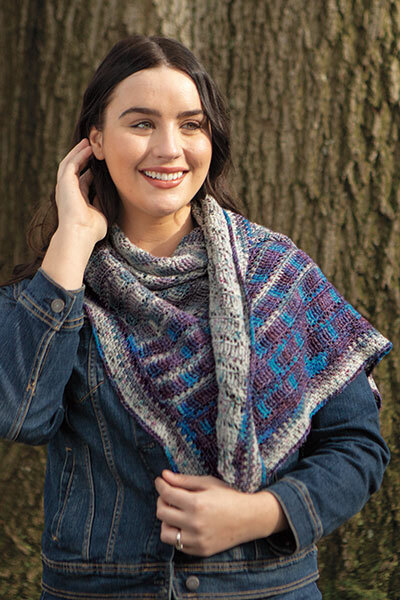 To make the colorwork motifs easier to work on the strap, it is knit in the round as a long tube and heavy interfacing is inserted for reinforcement. 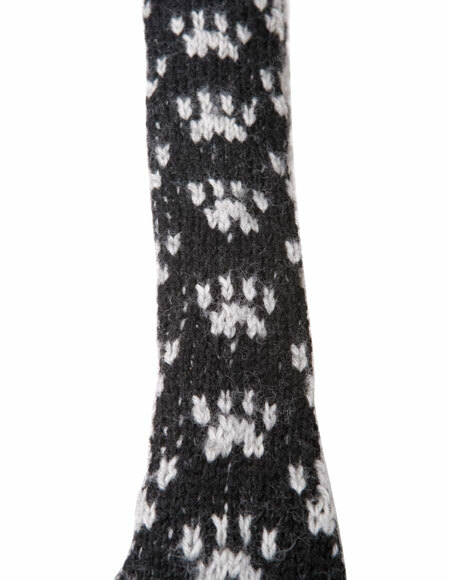 Inside, you will find an additional pocket which can be worked in pain stockinette stitch or in the same cute paw print patterning found along the strap. Notions: yarn needle, stitch markers, 1 package of 1/2" double-fold Bias tape in black, sewing needle and thread, lining fabric, magnetic or buckle closure, and heave interfacing (optional).